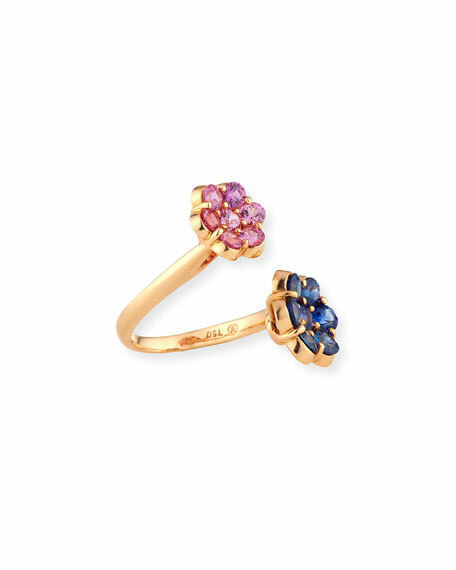 Bayco bypass ring in 18-karat rose gold. 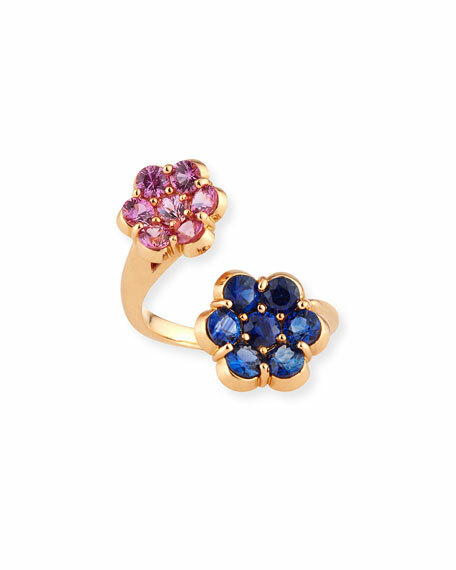 Round, prong-set pink and blue sapphires create floral shapes. 0.95 total pink sapphire carat weight. 1.39 total blue sapphire carat weight.